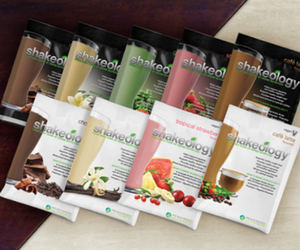 Get healthy from the inside out with Shakeology, and Shakeology The Workouts! Shakeology The Workouts is a set of 2 DVDs that includes a 30-minute workout sequence and a 50-minute workout sequence. When you first start the Shakeology Workouts, we recommend you do the 30-minute workout three times a week. You can rotate in the 50-minute workout once a week. Be sure to go at your own pace, but kick it up a notch as soon as you’re ready to, and don’t be afraid to push yourself. Tania Ante, known for her role as modifier from Shaun T’s Rockin Body, is now front and center in Shakeology Workouts. Tania Ante helped the Shakeology test group achieving amazing results–and you can too! It a fantastic combination of cardio and resistence training. Before you know it, you’ll notice more muscle tone and fewer food cravings. You will also have enough strength and energy to tackle The 50 three times a week. The 30: is a classic workout. It’s a balanced combination of cardiovascular intervals—to burn calories—and time-tested strength moves that will tone your muscles and build your metabolism. The 50: Your body will continue to progress on its path toward total wellness with The 50. As your body becomes stronger and more efficient, The 50 will accelerate your progress—your strength, cardiovascular fitness, and flexibility—in an easy-to-follow format. Combine the Workout with the Shake for optimum results! 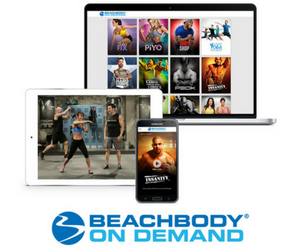 Super Deal: When you purchase Shakeology, on Home Direct, you get these FREE bonuses: free basic shipping every month and Shakeology: The Workouts (2 DVDs, a $29.95 value. Check out this video to see the making of Shakeology The Workouts!